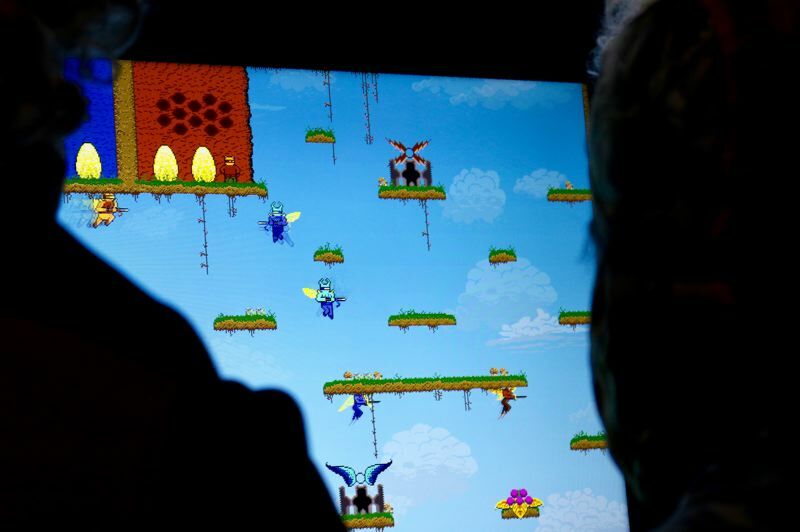 Portland is home to the world's largest competition for fans of Killer Queen Arcade, a retro video game that's become a smash hit since it was released by BumbleBear Games in 2013. 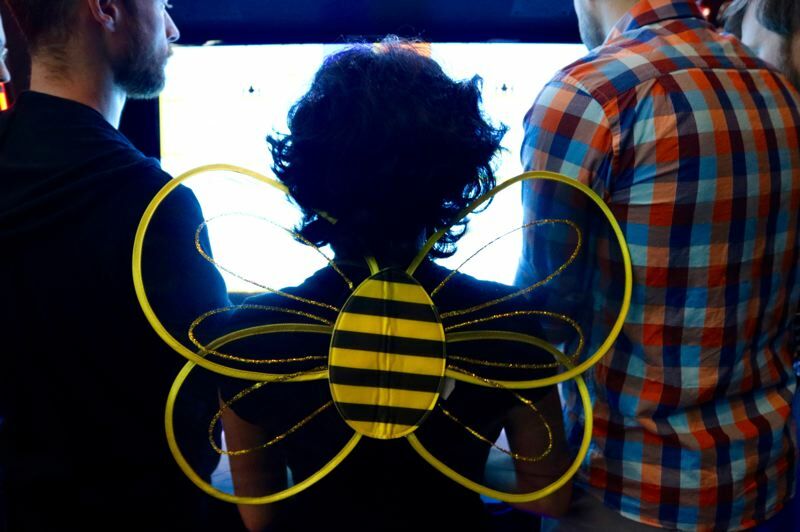 This year, the battle of the bees drew more than 300 players comprising 60 teams to Ground Kontrol, 115 N.W. 5th Ave., for the third-annual national championships — BumbleBash — during a four-day event culminating on Sunday, Oct. 21. "A lot of people who play it, they think they're into it because they like the game," said co-creator Josh DeBonis. "But what they really like is their friends." 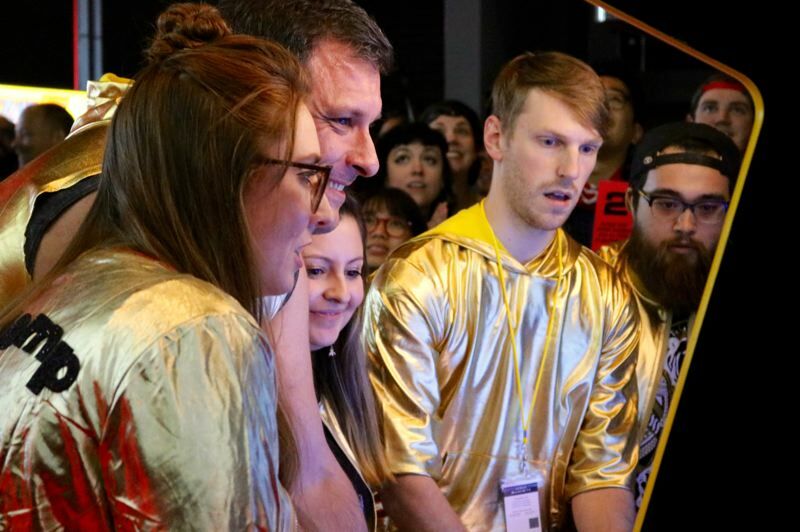 It takes a hive to truly experience Killer Queen, which pits two teams of up to five players against each other on back-to-back cabinets. Each team has one sword-wielding queen and four worker bees, who can complete strategic objectives or upgrade to become warriors. To an outsider, the game looks a bit like a 2-D pixelated blur as players control their avatar with a joystick and mash a single button to stay aloft. But contenders are actually trying to achieve victory in one of three ways: assassinate the queen, collect berries or ride a giant snail into a wicket. Warriors can (virtually) kill, but only drones can collect berries or saddle the snail. Teams traveled from Chicago, New York, Kansas City, Columbus, St. Louis, Charlottesville, Baltimore and even Canada to compete for hundreds of dollars in cash prizes. The city with the most highly-ranked players took home an arcade cabinet. "For most people, it's very social. It's a teamwork game, and it's a simple game," explained Dylan Higgins, a BumbleBash organizer who lives in Portland. "It's like being in a bowling league." Team Break from New York City is ranked first seed, and Brian Kang is their Queen. It's a lot of pressure, because the Queen is the only sprite that starts armed, and the team loses if she dies three times. "A lot of Queens like to start and just kill everything. They feel they're the best piece on the board. That's not true," the 26-year-old software engineer said. His strategy? "You have to play very safe." This particular e-sport is poised for mass appeal, as an online version dubbed Killer Queen Black will become available for PC and Nintendo Switch early next year. The online game will have larger graphics, as players using a television presumably won't sit as close to the screen as arcade users. There will also be multiple weapons and an attack button. 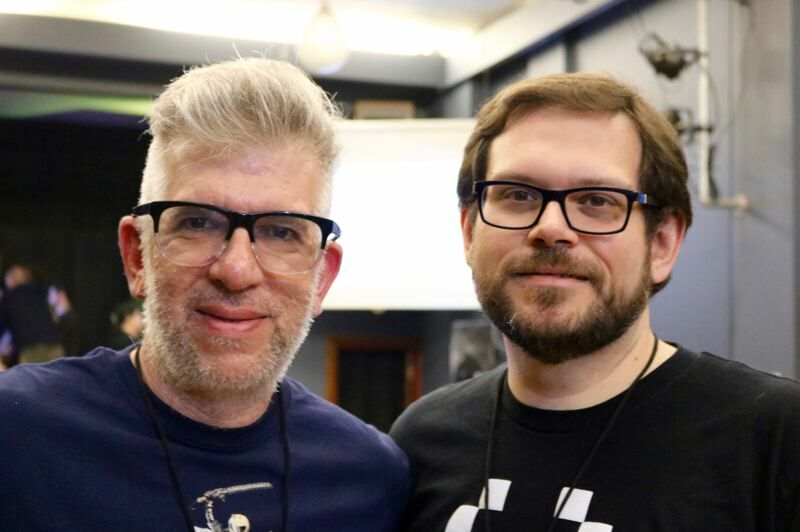 BumbleBear Games is staying light on its feet — the Brooklyn, New York based company has less than 10 employees and one person each handling marketing, technical support and sales. "We kind of sensed really early that this was a really special game," said co-creator Nikita Mikros. "We couldn't get people to stop playing, so that was a good sign." Killer Queen began as a "field game" that had players collecting ball-filled buckets and hitting each other with foam swords out in the real world. When it came time for the virtual transition, they used Joust — a classic '80s arcade game involving dueling lancers riding buzzards — as a "very deliberate influence," according to DeBonis. One thing neither creator expected was how top players employ "crownscraping," a technique of flying right at the ceiling of platforms that makes users harder to kill. 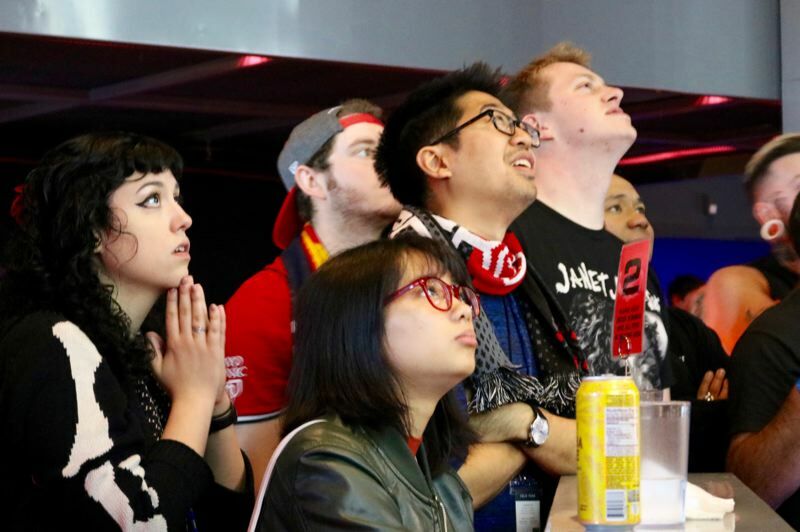 Crowds at the tournament clap, cheer and yell out advice with all the vigor of the Timbers Army, and commentators stream the matches online for those who can't make it in person. Julie King, a mother of two who lives in the Parkrose neighborhood, played with the local team Berries Are A Choking Hazard. "We played our best," she said. "I die a lot, so I need to die less."